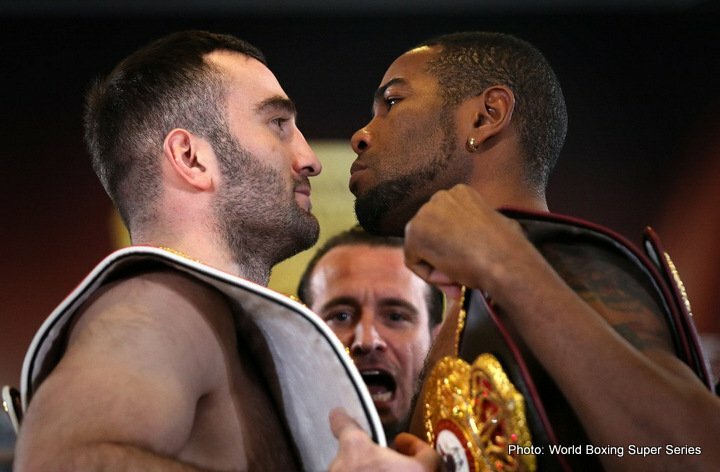 IBF World Champion Murat Gassiev (90,3 kg) (25-0, 18 KOs) and WBA World Champion Yunier Dorticos (90,7 kg) (22-0, 21 KOs) made weight ahead of Saturday’s Ali Trophy semi-final at the Bolshoy Ice Dome, Sochi. Saturday’s winner will face Ukraine’s Aleksandr Usyk in the final of the cruiserweight edition of the World Boxing Super Series. The final takes place in Jeddah, Saudi Arabia in May. 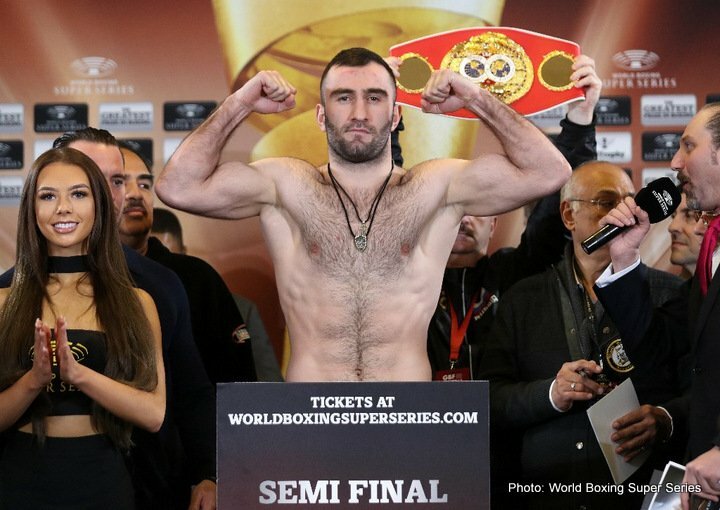 The cruiserweight semifinals of the popular World Boxing Super Series (WBSS) concludes today when undefeated world champions Murat “Iron” Gassiev (25-0, 18 KOs) and Yunier “The KO Doctor” Dorticos (21-0, 20 KOs) battle in their title unification bout, airing in Canada exclusively on Super Channel (2 p.m. ET start), live from Bolshov Ice Dome in Sochi, Russia. The Gassiev-Dorticos winner will advance May to the WBSS championship final in Saudi Arabia this May to fight WBO/WBC world champion Oleksandr “The Cat” Usyk (14-0, 11 KOs), winner of the other WBSS semifinals match against previously unbeaten Mairis Briedis (23-1, 18 KOs). The WBSS’ Muhammad Ali Trophy winner will become the first world cruiserweight champion to hold all four major championship belts at the same time. Gassiev, 23, captured his International Boxing Federation (IBF) crown a year ago with a 12-round split decision victory over three-time world cruiserweight champion Denis Lebedev (29-1). In the WBSS quarterfinals, Gassiev knocked out two-time world cruiserweight champion Krsysztof Wlodarczysk (53-3-1) in the third round of his first world title defense. Cuba-born Dorticos knocked out interim World Boxing Association (WBA) cruiserweight champion Youri Kalenga (22-2) in the 10th round of their 2016 fight, and Dorticos, who stopped Dmitry Kudryashov (21-1) in the second round of their WBSS quarterfinals match, was elevated to WBA Cruiserweight World Champion. Six fights, including four championship matches on the “Gassiev vs. Dorticos” card, which is promoted by Sauerland Event, will air exclusively in Canada on Super Channel.